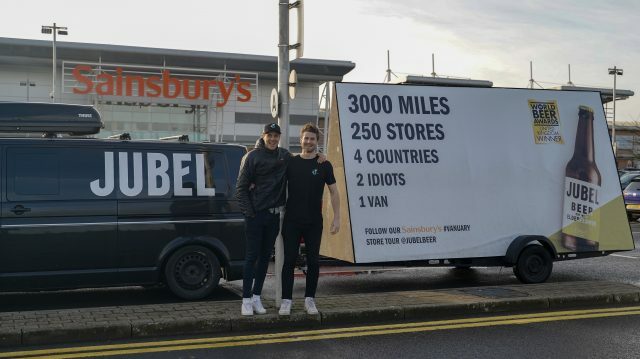 The founders of UK beer brand Jubel took to the road last month for ‘Vanuary’ – a mission to visit each of the 250 Sainsbury’s stores they are now stocked in across the country. Celebrating the newly-won listing, the founders Tom Jordan and Jesse Wilson travelled 3,000 miles across the country, sleeping in a VW campervan. They toured stores across four countries, from locations in Northern Ireland all the way down to Penzance. The journey took place from 7 to 21 January.